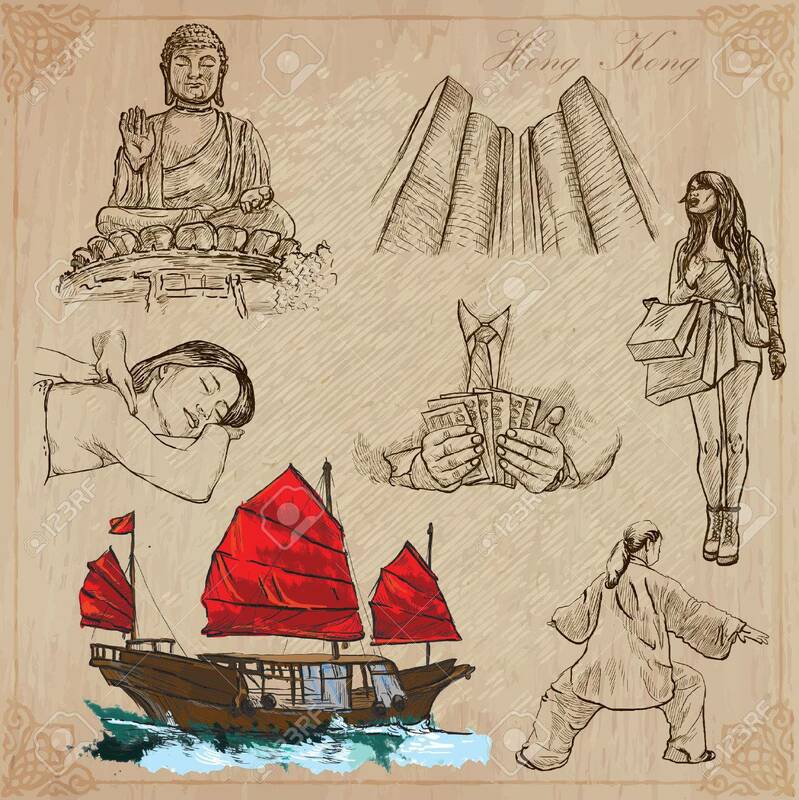 Travel: HONG KONG (set No.1) - Collection Of An Hand Drawn Vector.. Royalty Free Cliparts, Vectors, And Stock Illustration. Image 34300688. Vector - Travel: HONG KONG (set no.1) - Collection of an hand drawn vector illustrations. Each drawing comprise three layers of lines, the colored background is isolated. Editable in layers and groups. Travel: HONG KONG (set no.1) - Collection of an hand drawn vector illustrations. Each drawing comprise three layers of lines, the colored background is isolated. Editable in layers and groups.